The Today newspaper ran from 1986 to 1995. 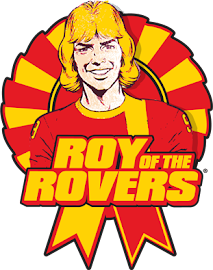 It was proclaimed to be Britain's first colour newspaper and included Roy of the Rovers stories in early editions. Roy advertised the Today stories in his own comic on 19th April 1986. At that time they were appearing in the Today newspaper on Wednesday's, Friday's and Sunday's. 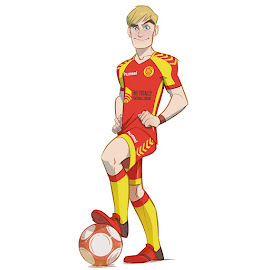 These stories will be reproduced here, as I managed to retrieve the majority of these strips, originally published in the old www.royoftherovers.com site. The artist for these stories is Kim Raymond. There were some Roy of the Rovers stories in "Daily Star" newspaper, sketched by Yvonne Hutton. Has anyone got some copies of them please? 26 Ιανουαρίου 2015 - 10:24 π.μ.